The result is a casting stroke that focuses on technique rather than power. 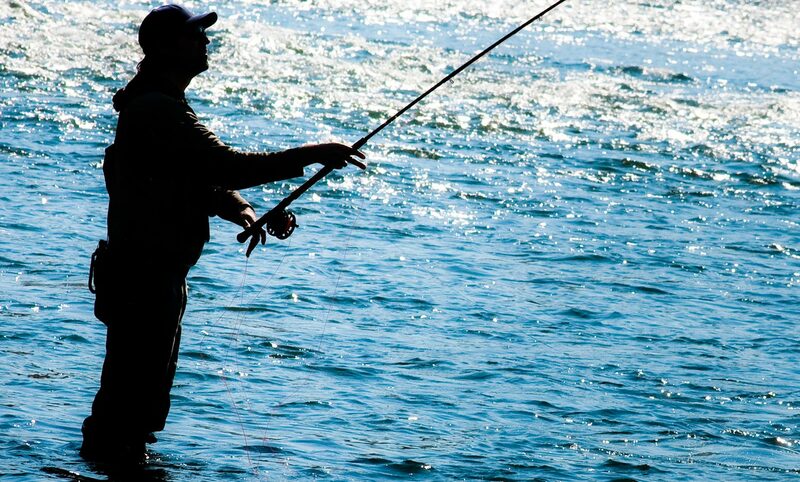 A smoother, more controlled cast loads the rod more effectively and that means a tight loop and a nice long cast that turns over as it should. The answer is right at your fingertips. This entry was posted in Fly Fishing Tips & Technique, Spey Casting, Steelhead and tagged fishing, fly casting, Fly Fishing, fly fishing lessons, Fly Fishing Photography, fly rod grip, Gink and Gasoline, how to fly fish, Kent Klewein, learn to fly fish, Louis Cahill, photography, spey casting, spey rod, switch casting, switch rod by Louis Cahill. Bookmark the permalink. Fine, but the enduring problem for me in spey & switch casting is line control of the running line. Finger loops, stripping baskets & vest hooks all cause me grief and lost time devoted to thinking/solving. Give us some tips! I like to think of the bottom hand as a ball-in-socket joint. You want the rod to be able to rotate in your hand on the sweep and if you have a death-grip on the rod it won’t.